Source: © 2018 Giacomo Aprili/AP Schettino arriving at the Grosseto court, Italy, on December 11, 2014. A plea has been made for his pardon on the grounds of unjust criminalisation. A GROUP of marine professionals have signed an open letter to the Italian maritime and judicial authorities seeking a pardon for Francesco Schettino, the former master of the Costa Concordia, the cruiseship that capsized after grounding in the Mediterranean, leading to the loss of 32 lives. The vessel, with 4,229 people on board, partly sank near the island of Giglio on January 14, 2012. Capt Schettino is currently serving a 16-year prison sentence in Rome. The letter, which was also sent to Carnival Corporation president and chief executive Arnold Donald, was instigated by Norwegian consultants Safety Management AS, headed by casualty investigator Arne Sagen. It has the support of a group of senior professionals with expertise covering cruiseship operations, safety regulations, the International Maritime Organization’s International Safety Management Code, accident investigation, electronic navigation (Ecdis), ship handling simulation, ship stability and lifesaving appliances. Capt Schettino was judged to be solely responsible for the total operation of the ship. But the letter suggests that ruling undermines the basic intention of the ISM Code, the statutory international code for safety management and operation of ships. 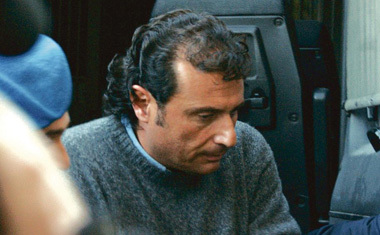 Shipowner Costa Crociere, part of the Carnival Group, avoided any legal sanctions by entering into a plea bargain with the court, in Grosseto, Italy. It was eventually fined €1m ($1.3m). As part of the plea bargain, the company was freed of any management and operational responsibility. Members of the ship’s bridge team at the time of the grounding were also released by the granting of plea bargains. This left Capt Schettino with the sole responsibility for the ship’s management and operation. He has so far served five and a half years under house arrest and half a year in Rebibbia Prison in Rome. An appeal to the Italian Supreme Court to reopen the case was rejected and he is now preparing a further appeal to the European Court of Human Rights. The letter claims to contain new information (see below), which, Mr Sagen says, changes the legal status of the accusations under which the master was convicted. It requests the Italian Maritime and Judicial Administration to pardon Capt Schettino and release him from his prison sentence. Should this plea be refused, the president of Carnival Corporation, as the owner of the lost ship, is requested to provide to the former master the necessary funds to appeal his case to the European Court of Human Rights in Strasbourg. Legal support to the master was initially promised by the company, but was subsequently withdrawn. Both the International Federation of Shipmasters’ Associations and the Confederation of European Shipmasters’ Associations have expressed disquiet at Capt Schettino’s treatment and provided information to his case. Capt Schettino was not a member of either organisation. Taking particular exception to the court’s decision to permit plea bargaining arrangements in such a serious maritime incident, IFSMA secretary general Commodore Jim Scorer said that the criminalisation and victimisation of the master “is beyond belief and needs exposing and condemning at the highest level”. Copies of the open letter have been sent to more than a dozen professional and industry bodies, including International Maritime Organization secretary-general Kitack Lim, the European Maritime Safety Agency, the International Association of Classification Societies and the Cruise Line Industry Association. No response has yet been received to separate requests for comment from the company and representatives of the families. Safety Management consultants have made a new and detailed analysis of what it suggests is an inadequate Italian accident investigation report in English translation, and compared this with private translations of the court proceedings and available documentation from the captain. This reveals crucial new information. First, the Italian court failed to provide the statutory independent safety investigation, as required by both the IMO and the EU directive 2009/18/EC. The Italian practice that criminal investigation overrules the statutory safety investigation is not accepted by the European Union. No criminal court actions against the captain or any crew member should have been taken by any court without the statutory investigation providing full knowledge of what happened and why it happened. Second, the ISM Code is not properly implemented in the Italian judicial system. As an example, the captain of a ship cannot be delegated the sole responsibility for the total operation of the ship as the code makes it clear that it is the company that has this ultimate responsibility. Third, the Costa Concordia’s company standard for operation of the Ecdis was illegal, as the system was not approved for either primary navigation or as a navigational aid. Finally, after the failure to launch a number of the port-side lifeboats, ship’s staff ordered passengers on the port side to cross to the starboard side. The majority of those who lost their lives followed that order, and their deaths should not be attributed to any command of the master. Did Costa Crociere have the right command chain in place?